Often, online buyers feel more comfortable purchasing cars online from established dealers than from an individual. However, such faith may just as easily go unrewarded. Even with an established dealer, you could very well lose your deposit or lose out on the car of your dreams. In many cases, online shoppers believe that a deposit should give them the so-called “first right of refusal” to change their mind, recoup their cash, and walk away from the deal, but sadly, that’s not how it works. If another patron walks into the dealership and buys the car between the time you make a deposit and when you actually take delivery of the vehicle, the vehicle can be sold. What’s more, there’s no guarantee your deposit will be refundable. In some cases, dealerships may require you to purchase another vehicle from them or forfeit the deposit. Although a trail of emails can help bolster your claim, an email is not a contract. However, emails may be structured like a buyer’s order, the document that spells out the car you intend to buy and agreed-upon price, giving you more power to get a deposit back. So be sure to read all the fine print in every email you receive from the dealer before you relinquish a deposit. When shopping with online dealers, use to your head – and your gut – to avoid problems in the first place. As you would with any seller online, establish contact as quickly as possible and ask questions. Remember that promises don’t mean much. Anything that’s said over the phone should be considered useless because it is extremely hard to prove unless it is recorded, so try to get anything promised to you in writing prior to sending a deposit. When it comes time to make a deposit, never send a check or money order and never make a wire transfer. Your money will be irretrievable once a check has been cashed or a money order has been collected. Instead, make payments over a secured browser (look for a lock icon in the address bar and a URL that starts with “https”) and pay with a credit card, which will protect you against fraud. Credit cards are typically your best line of defense when buying online. Federal protections spelled out under the Fair Credit Billing Act limit your liability to $50 when cards are used to make unauthorized purchases. And some cards, like Visa, have zero-liability protection for cardholders. If you don’t get the vehicle that was promised – either because a fraudulent seller stole your money or a dealer sold it to someone else – and if you used your credit card to make the deposit, you can turn to the credit card company for assistance in retrieving your money. American Express, for example, offers customers who don’t receive items they paid for the option to begin a dispute resolution process simply by calling the company and making a request. If you use your card and don’t get what was promised to you, then you should call a customer service agent right away so that a representative can begin the process to resolve the dispute fairly. PayPal is another safe payment option. Use it to draw money from a credit card and to make your deposit to a seller. The maximum you can spend using a PayPal account is $4,000 for one-time single transactions and up to $10,000 for PayPal members. If you buy a vehicle on eBay Motors, you may also be protected up to $50,000 through its Vehicle Purchase Protection Program, which is designed to shield buyers against certain losses due to some kinds of fraud, including if you pay for or make a deposit on a vehicle you never receive. However, to qualify for this program the transaction must be completed through eBay Motors. And remember, like anything else, there are terms and conditions and fine print associated with all of these online payment options, so be sure to research each of them carefully. Well, there you have it – buying a car is a daunting task no matter how you decide to go about it. But hopefully, after reading this blog you will feel a little more prepared if you decide to make your next automobile purchase online! Have you had any dealings with buying a vehicle from a dealership online? Lost the car you were hoping to purchase or the deposit you put down? Let us know in the comments section below. As always, we appreciate your feedback! Provide Safety. A garage will keep your vehicles out of sight and locked away from thieves. This not only keeps your car itself safe from thieves/vandals, it also provides protection for any belongings you keep in your car. If you live alone or in an area where safety may be a concern, entering and exiting your car through a garage will make you feel safer. Although accidents involving parked cars aren’t as common as moving-vehicle accidents, your garage will provide your parked car with safety from being hit. Provide Protection from Weather. A garage will protect your car no matter what season by keeping your car away from the outdoor elements. Just consider the affects hot summer rays over a prolonged period of time can have on the interior and exterior of your car. Of course, the winter season brings snow and ice, and the fall and the spring bring lots of rain and storms. 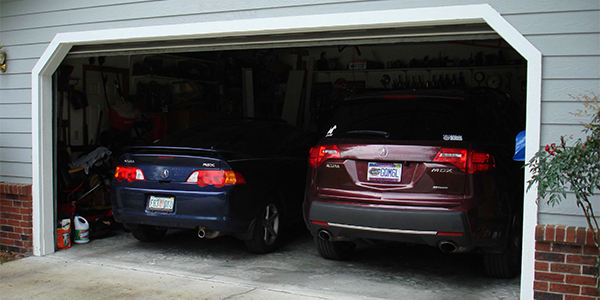 Luckily, having and using your garage for car storage will limit the exposure to everyday elements. Additionally, it will protect from extreme conditions, like hail or falling trees, which can significantly damage the exterior of your car. Provide the Gift of Convenience. Convenience is a huge advantage to using a garage. In the hot months, a car kept in a garage is significantly cooler. Can you imagine–no more sitting on a hot seat? The same goes for the winter months because a car kept inside will be warmer, so there will be time saved not having to warm it up. And let’s not forget the time wasted on cleaning the snow and/or ice off your car. In a garage your car is ready to go, so all you need to do is just start and drive. So, if you’re not currently using your garage to house your car, you will need to clean it out to make room for what it was meant for–your vehicle! We know that you will love the advantages and conveniences garage use will bring to your life, plus the added protection it brings to one of your most valuable investments! Once you’ve cleaned the garage to produce room, why not take a swing by the dealership to see what a great inventory Tischer has to offer? Or, for your convenience, go to http://www.tischerauto.com/ and find something new to fill that space! On the flip side of the coin, there are some disadvantages to buying privately. Private sellers usually don’t have existing warranties on their cars, financing options, or experience selling and maintaining vehicles. Whether you’ve already decided to buy privately or are just checking out your options, we wanted to give you a few tips to help ensure that you make a financially-sound purchase. 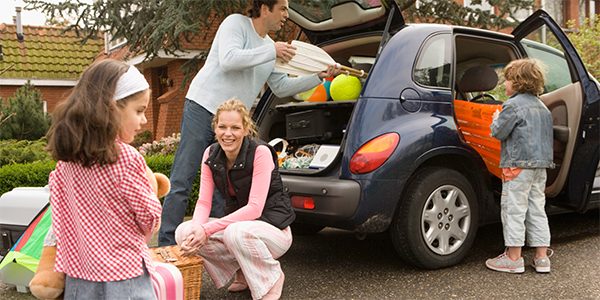 Get a CarFax or AutoCheck vehicle history report on the vehicle before you schedule a time to go see the car. These days, a seller may have one available for you to read or you can pay for your own. Either way, it’s highly recommended and worth the small investment. All you need is the Vehicle Identification Number (VIN) for the car. If you’re satisfied with the vehicle’s history, set up a time to test-drive the vehicle, preferably during the daylight, where you can check out all of the components of the car (including electronic features, the heating/air conditioning system and exterior). Interview the seller about the vehicle – some good questions to ask include: Why are you selling the vehicle? Do you have service records? Has the vehicle been in an accident or had bodywork? You can easily confirm some or all of this information by comparing it to the vehicle history report. Don’t get caught up in a seller’s enthusiasm. Be rational and consider the merits of the car. Decide beforehand what you’re willing to spend, what you want in a vehicle, and what you’re willing to compromise on (i.e. paying a slightly higher price for considerably fewer miles). Schedule an appointment with a professional mechanic of your choosing to have a pre-purchase inspection (PPI). Even if you are knowledgeable about cars, it is a good idea to get a professional second opinion. Typically, a PPI runs about $100 to $200 and will provide a detailed assessment of the mechanical and cosmetic conditions of the vehicle. If the seller takes offense to this, that should be a big warning sign. If the seller has nothing to hide, he/she should have no problem with your having an inspection done. In addition, if you live in an area that requires emissions testing and a state inspection, make sure the vehicle has passed both before you consider purchasing. Use an independent source to determine the retail value of the vehicle. Be sure to check for the “Private party” value considering the right mileage, condition, and location. 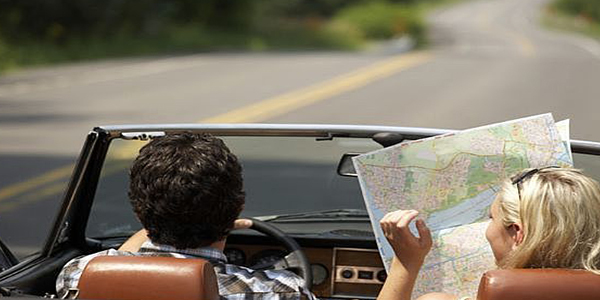 The most reliable sources for this information are DriverSide, Edmunds, and Kelley Blue Book. Make sure that the asking price matches up with the value of the vehicle or ask the owner to explain the difference in price. If you don’t feel comfortable with the seller, the vehicle, the area, or anything else, walk away – you are under no obligation to see, drive, or purchase the car. Although we strongly recommend buying a used vehicle from an authorized and certified dealer, we understand that sometimes that is not the best option for everyone. We hope that these tips will help to make the process of buying privately as painless and unproblematic as possible. 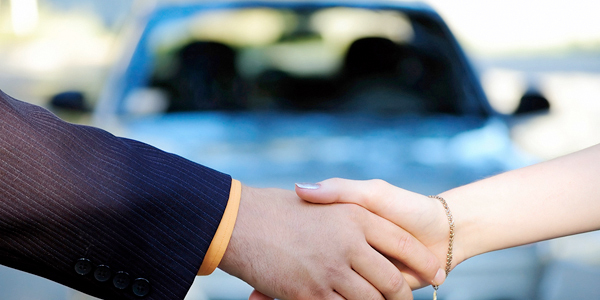 Have you ever purchased a vehicle privately, and if so, what was your experience? Did you get stuck with a lemon? Were there problems with the registration paperwork? Tell us about it in the comments section below – we value your opinions and shared experiences! 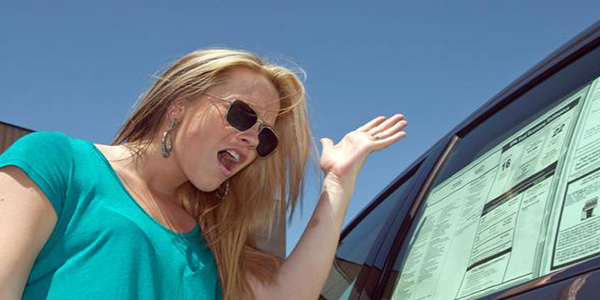 Buying a new car can be a stressful endeavor. From setting a budget and choosing a make and model to visiting dealerships and filling out the paperwork involved, it may be somewhat overwhelming! No worries, because reading and understanding a new car window sticker can help to put the whole process into perspective. Although these stickers can look really complicated, understanding them all comes down to knowing where to look for the information you’re trying to find. Most people know where to look for the price of the vehicle, but there is plenty of other useful information for buyers. Model Information – This area provides the basic information about the make and model of the vehicle. In addition, it provides details on the engine and transmission combination, interior and exterior colors, and trim level. Standard Equipment – This section highlights the features that are included in the manufacturer’s suggested retail price (MSRP). It includes such categories as Exterior/Interior, Safety and Security, Comfort/Convenience and Mechanical/Performance. Warranty Information – This part shows the specific warranty information for the vehicle, including bumper-to-bumper and powertrain warranties, roadside assistance packages and any other manufacturer’s offers that pertain to the particular make and model. Optional Equipment – This is where you will find information on the additional features included with the individual make and model you are checking out. Sometimes, these features are bundled into packages or they can be added on separately based on your preferences. Be sure to check out all of the options available to you and closely examine the price of each. Pricing Information – This provides details of the base price of the vehicle and line-items all additional features and options. In addition, this section will list any additional fees associated with the vehicle, like the cost of transporting the vehicle to the dealer and any gas-guzzler tax (levied on cars with a combined MPG of 22.5 or less). Parts Content Information – This area provides a breakdown of where parts were manufactured and where the vehicle itself was assembled. Some stickers provide a part-by-part breakdown, while others provide a percentage for parts made in the US and Canada versus other countries. Total Price – This is where you will find the total MSRP for the vehicle. This is not always the final price you will pay, but can provide a good starting point for negotiation. Fuel Economy Label – Also called the EPS label, this section is where you will find estimates of the vehicle’s fuel economy – usually provided in both city and highway miles per gallon (MPG). With the cost of fuel today, this is probably the second most important section for new car buyers. QR Code – This section is fairly new, but allows buyers to scan the pixilated square with a smartphone to link them to a mobile EPA website. Conveniently, buyers can get personalized fuel economy data based on their personal driving habits! Safety Ratings – This section contains the safety information for the vehicle. It typically contains the star-rating system for the National Highway Traffic Safety Administration (NHTSA), and may also contain the scores from the Insurance Institute for Highway Safety (IIHS). Once you’re able to read and understand a new car window sticker, you will be a more informed buyer when the time comes for you to purchase a new car. Did you find this analysis useful? Let us know in the comments down below! We always welcome your feedback! For the day-to-day rigors and routine operations of your vehicle, few things are as important as choosing the proper grade of octane for the unleaded fuel you put in your gas tank. Although the prices at the pump may make many consumers balk at choosing a high-grade, more-expensive octane, the truth of the matter is having the proper octane in your gas tank can actually improve vehicle performance. 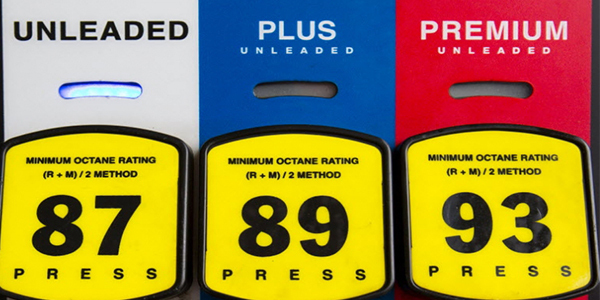 How do you determine what the proper octane is for your car? The best place to look is in the owner’s manual of your vehicle. Auto manufacturers determine the proper compression levels needed for the fuel/air mixture to combust when the spark plugs fire. For most vehicles, the recommended level of octane is 87, but some models with turbo-charged or higher-compression engines require 89, 91 or 93. Most newer-model vehicles contain engines with computer-controlled or variable valve timing and sensors that monitor engine knock. For these advanced engines, higher octane fuels (some with booster additives) will often be required to maintain engine power and performance. However, for older-model vehicles without computer-controlled timing or variable valve timing, there may be little to no point in using a higher-than-recommended octane fuel with stock timing settings. So, for older-model vehicles, using the lowest octane your vehicle can support will not harm the engine performance and will only save you money at the pump. It is important to note that using an octane fuel that is too high for your vehicle will adversely affect its fuel efficiency. Higher octane fuel requires more heat and more precision to ignite correctly. For example, if a car is designed to use 87 octane, burning 93 octane can cause the engine to produce less power, thus making it require more fuel to perform at the same level. So you will want to be prudent and use the lower octane. The fuel that you put into your vehicle is important, so we recommend that you always follow the guidelines set by the manufacturer. For more information on fuel octane and other information about gasoline, visit Exxon’s FAQ page. As always, we would love to hear your feedback on fuel octane and on your experiences with engine knock. Leave us a comment below! During this busy holiday season, folks everywhere are making their lists and checking them twice. Many of us will be shopping and making purchases right up until the very last minute! With so much going on and so much to do, it’s easy to get distracted and forget about holiday shopping safety precautions. So we’ve rounded up some tips to make sure that you’re prepared before you head out to conquer your shopping to-do’s and stay safe in the process. 1. Prepare your vehicle. The holidays mean the possibility of inclement weather. Whether it’s rain, sleet, snow, ice, or a “wintry mix,” you may have to brave the elements during your pursuit of the perfect holiday gift. Make sure that your car is winterized with properly inflated and aligned tires, snow tires (if needed), a working heating system to keep you and your family warm and to defog your windows, effective windshield wiper blades, and working headlights. If any of these vehicle maintenance areas need to be addressed, be sure to schedule service with your local dealership. Also, if you’re driving for any lengthy amount of time, better to be safe than sorry—fill up that gas tank! 2. Leverage your car’s technology. Even though many of us have a smartphone to rely on for directions or to find a new route in the event of construction or a traffic detour, many states, including Maryland, are cracking down even more on the use of cell phones while driving. Luckily, many cars these days—including the Acura and Nissan car models—offer technology packages that help with navigation, checking traffic delays, and even managing incoming calls and texts. Too often, car drivers don’t leverage the convenience of these technologies simply because they have not become familiar with them. We encourage you to take the time to do so! The last thing you should be doing is fumbling with controls while driving and possibly cause yourself the danger and inconvenience of an accident—yikes! If you have questions about your car’s technology, the dealership that sold you your car should be able to help you. In fact, at Tischer, we host new car owner clinics every third Wednesday of the month to help our customers not only learn about their car’s capabilities, but also to familiarize them with the variety of services and departments available at our dealership. 4. Slow down. We know stores get crowded, parking lots get full, and there are amazing deals to take advantage of. Everyone wants to be the “early bird.” We know you’ll agree that no one should risk his/her life or the lives of others in order to get to a sale, no matter how good it may be! So please, heed speed limits, use your turn signals, share the road, and especially if there is inclement weather, slow down! 5. Don’t leave the car running. We’re all guilty of it—just making a quick pit stop on the way to another destination and popping out of the car while leaving the car running. At this time of year, don’t risk employing this lazy way of doing things. Loiterers may be lurking hoping to catch someone with gifts and goodies in their car from a recent shopping spree, while others might be hoping to grab a quick stash of money that’s recently been withdrawn in advance of a shopping spree. Simply put—there could be people up to no good waiting to take advantage of others who are in a hurry during the holiday frenzy. Not to mention the laws against leaving an idling car in a parking lot of any store! 6. Be aware of your surroundings at all times. That last point brings us to our next tip. As you arrive at your shopping destination, take an account of the area. Choose a parking spot in a well-lit area. Is there a landmark that will help you remember where you parked your car? Be wary of any areas that are convenient for people to lurk and avoid those “shady” spots. In the event of suspicious activity or an emergency, is there a nearby emergency call-box? Take five minutes to observe your environment before you hit the ground running. Of course, be aware of the parking lot environment when you are departing also by trying to save that text or phone call until you are in your car and using the technology your car provides in order to do that safely. After you get into the car, lock it immediately. 7. Protect your personal items. While you are shopping, be mindful of your personal items; in other words—don’t flash your cash! Keep your cash and credit cards concealed as often as possible. Gentlemen, this might mean for one day not keeping that wallet in your back pocket, but rather, tucked inside an interior “secret” coat pocket—or anywhere else that might be a little less obvious. Ladies, don’t leave your purses in your shopping carts. Keep them on your person at all times. And this next part goes for everyone—any purchases you do make, keep them tucked safely but securely in your cart or with a firm grip. The holiday season is a thief’s paradise; don’t make it easier for them by having things so available! 8. Avoid distractions. Depending on how much shopping you are doing, you might be making several trips to your car to unload some of your purchases. As you are going back and forth, avoid any behaviors that could distract you from noticing possibly threatening situations such as walking in front of another car (we all know people drive fast and carelessly in parking lots!) or being approached by a stranger. So don’t fumble for your car keys and look down into your pockets or purse—have your keys ready before you exit the building. As mentioned above, avoid talking or texting on your cell phone. Having one hand up to your face has a tendency to block your peripheral vision and having both hands on your cell phone texting forces you to look down and away from your surroundings. If you must converse, use a hands-free device like a Bluetooth earpiece. Once again, do not sit in your vehicle on the phone or counting money (or any other distracting activity) without locking your doors! 9. Conceal your purchases smartly. If you are leaving your purchases in your vehicle, be sure that they are tucked out of sight and properly concealed. If you have tinted windows, stow your items in the darkest area of your car. Small items can be stowed away under seats or perhaps even in a glove department or a locking console area. As silly as it may sound, you can even swap your purchases into less obvious carriers such as a grocery tote bag or a gym bag. After all, who thinks a lovely piece of jewelry would be tucked away where you keep smelly gym socks? And if the gym bag trick isn’t enough of a deterrent, always be sure to lock your car and arm your car alarm. 10. The more the merrier. As the saying goes, there’s strength in numbers. Any time you can be out and about with a group of people rather than flying solo is better for safety purposes. Two heads are better than one, you’ll have that “second set” of eyes—you know how it goes. After all, the holidays are meant to be spent with family and friends! There’s a lot to look forward to during the holidays, and that’s why we hope the advice we’ve shared with you will not only help to make your holiday shopping safer, but smarter. What other advice would you offer your fellow readers? 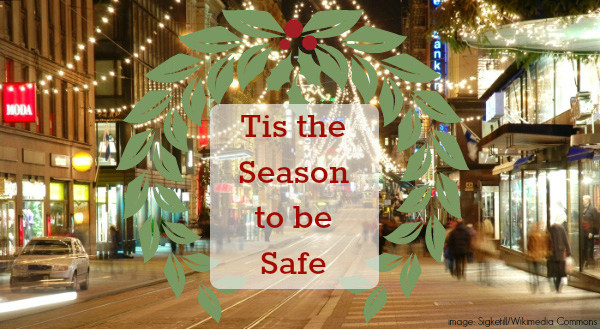 Be sure to share your holiday safety tips in the comments below! From all of us at Tischer Auto, we hope you have a wonderful and safe holiday season! Autumn is a great time to take a scenic car trip and experience the beauty and array of colors that fall brings. Are you one to avoid long car rides because you suffer from motion sickness? Don’t miss out! Instead, learn what motion sickness is and things you can do to prevent it. What is motion sickness? Motion sickness is a feeling of nausea during car, plane, or boat travel. Those suffering from motion sickness can experience nausea, vomiting, dizziness and/or headache. Motion sickness is the result of senses conflicting with each other. For example, the eyes may see movement but the body doesn’t register/feel movement and this sensory conflict leads to motion sickness. Look out a window when traveling. If possible, sit in the front seat which has the most open view. Try to focus on a stationary object in the distance. Avoid reading, watching TV, and/or focusing on any electronic device, as this will make motion sickness worse. Try to limit food and drink consumption. 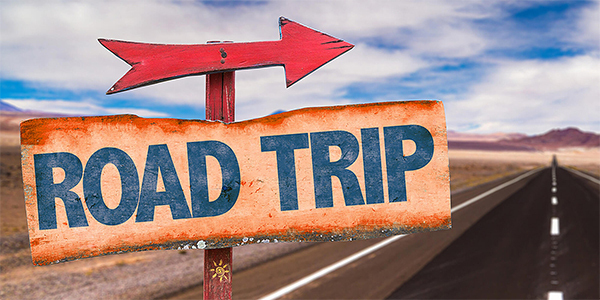 Do not overeat or eat heavy foods before a long trip. It is also recommended to avoid alcohol. Open a window. Getting some fresh air may alleviate the nausea. It is wise to eliminate any strong odors such as food, perfume, or air fresheners which can make nausea worse. Not only does the fresh breeze from opening the windows help with nausea, it will also aid in dispelling strong odors. Take breaks as often as possible. Get out of the car frequently to stretch and get some fresh air–especially on long rides. Consider motion sickness medications. If motion sickness is a recurring problem for you, you may want to consider over-the-counter or even prescription medications. There are medications that can prevent motion sickness and others that reduce nausea. These medications are to be taken before your trip begins for optimum effectiveness. Check with your doctor to learn more about motion sickness medications. Don’t let the fear of motion sickness keep you from enjoying trips–whether by car, plane, or boat. If you are prone to motion sickness, prevention is key because once the symptoms start, it is hard to alleviate them. On the upside, once the motion has stopped, the motion sickness itself and the symptoms usually go away quickly. If you have any other suggestions to help prevent motion sickness, please share with us in our comments section.